Over 30 of the world’s top Muay Thai athletes from around the world will make their way to Turin Italy for YOKKAO 35 – 36 this coming January. Without a doubt, one of the most anticipated fight appearances for the event has to be living legend Saenchai. 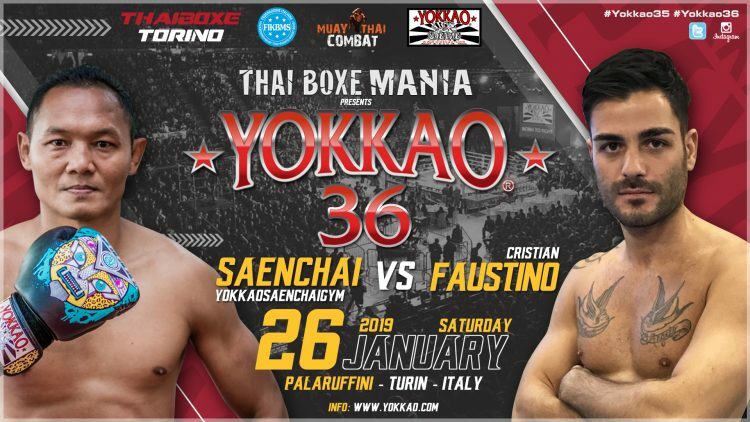 The match-up has just been confirmed and the Muay Thai fighting icon will face Italian fighter Cristian Faustino in the YOKKAO 36 main event. Saenchai is widely recognized as a boxing ring wizard. 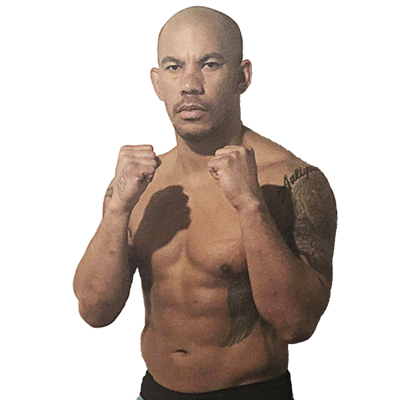 He continues to compete against fighters from all corners of the globe and entertain fans with a flamboyant yet effective fighting style. Through his career, Saenchai has proven time and time again why he is arguably the greatest fighter in the world of Thai boxing. At last count, he has remain undefeated since November 2014 with a remarkable 41-win streak, a record that he seeks to extend at YOKKAO 36. Faustino is the next in line to attempt to put a stop to the undefeated campaign of the Thai legend. The 28 year-old Italian competes out of Pro Fighting Sempre Avanti Bologna with almost 60 fights to his name. 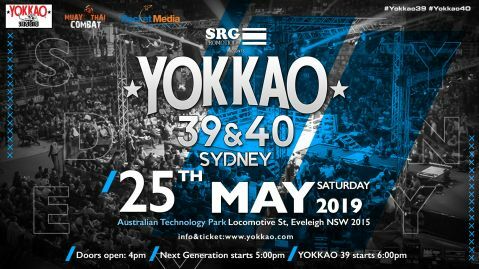 He will also headline the upcoming YOKKAO Next Generation Bologna on 1 December where he faces famed French Muay Thai kickboxer, Karim Bennoui. 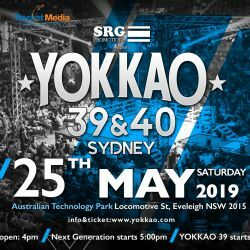 Following notable appearances on events like Glory, Superkombat and Thai Fight, Faustino is set to reach a key milestone in his fight career when he goes up against the legend Saenchai at YOKKAO 36.